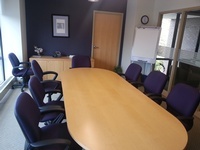 MHA Conference Center | Conference Center | Meeting Space - Burlington Area Chamber of Commerce ? 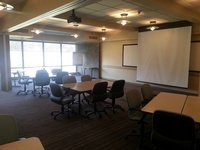 The MHA Conference Center is Burlington’s only executive conference facility designed specifically for meetings. Located just 15 miles north of Boston/Logan International airport, and right off major highway arteries (at the intersection of Rts 95 and 3) and next to the Burlington Mall, The MHA Conference Center, offers the perfect setting for productive meetings in a low-stress environment. 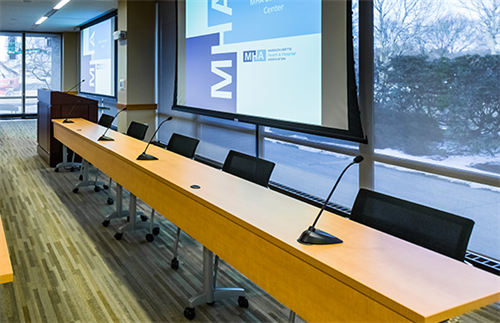 With a number of tastefully-designed conference rooms and a dedicated professional staff, The MHA Conference Center combines state-of-the-art amenities with exceptional service for the comfort of as many as 125 meeting attendees. The facility boasts high-tech A/V capabilities, gourmet-caliber food offerings, higher-end furnishings, and a serene environment. 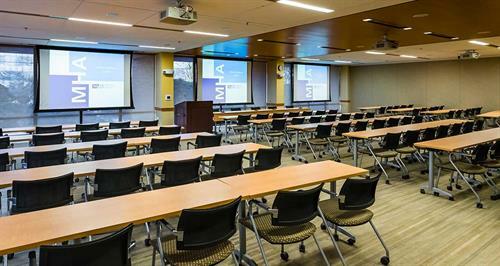 The MHA Conference Center has a mixture of room rental day rates or package pricing to meet different kinds of needs. All rentals include A/V package and complimentary coffee, tea, and spring water as part of the price, helping you save money and keep things simple. 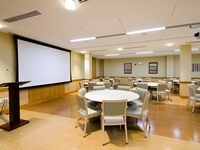 Greater Boston’s premier corporate or community weekday meeting center is conveniently located at the MHA Conference Center in Burlington at the junction of I-93, I-95 and Route 3.